A few weeks ago I got my mom the Missha Cho Bo Yang gift set that included the toner, emulsion, a mini-essence, and cream. Being a bit of a hanbang noob (hanbang = skincare based on herbal traditional Korean medicine), I was itching to try the set myself, so I kept the travel size toner, emulsion, and cream for myself to try out. I quickly realized that the cream was way too rich for my combination-dry skin. It had a very heavy and oily feeling. Although the skin on my cheeks can get dry throughout the day, they’re not THAT dry. People with very dry and/or aging skin might like it though. As a result, I abandoned the cream and continued testing with just the toner and emulsion. I think the bottles for the Cho Bo Yang line are very classy and elegant. They’re heavy plastic, and the full size bottles have pumps, which is both hygienic and convenient. The cream comes packaged in a jar with a seal on the inside and a separate spatula for dispensing the product. I’m not going to go too much into the ingredient lists here, because they are friggin’ ginormously long. You can see the ingredients for both the Cho Bo Yang toner and emulsion on the Missha US website. 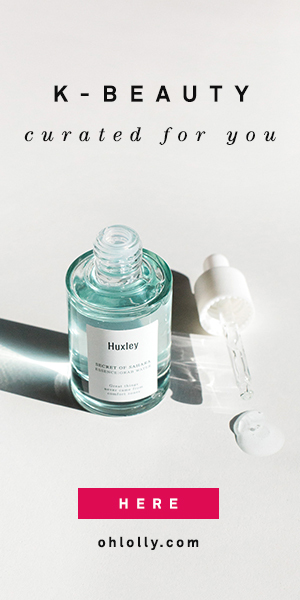 The Cosdna analysis turned up a few irritants — most noticeably, the toner has alcohol as the third ingredient, and both contain fatty alcohols and stearic acid, which can irritate some people. The star hanbang ingredient in the Cho Bo Yang line, as in most hanbang lines, is ginseng. Ginseng is a root that has been used in traditional Asian medicine for centuries and is known to have various beneficial properties. In skincare, ginseng is rich in antioxidants, and in a couple studies has been shown to help reduce wrinkles and sun damage. It also helps with healing, circulation, and reducing inflammation. It’s a good ingredient with promising, though not proven research (I’d like to see more studies with more participants). Deer antler is a lesser known ingredient in traditional Asian medicine. I couldn’t find much information on it as a skincare ingredient, but in sports it is a somewhat controversial physical performance enhancer (and unregulated supplement) that is also reputed to help heal cartilage and tendon damage. Apparently, deer antler velvet (the velvety skin on the antlers during its growing stage) is rich in growth hormone, as well as various other compounds such as hyaluronic acid, a humectant that binds moisture to the skin. It is supposed to promote wound healing and anti-aging. Although deer antler may not have much research behind it currently, it is very popular in Asia as an anti-aging ingredient. Don’t worry, the deer are not killed to obtain their antlers; as far as I know they are not harmed in the harvesting of the antlers and the deer are usually raised on farms. If you are, however, against animal products in your beauty products, you may wish to avoid this. The toner is quite viscous, considerably thicker than water and about the same consistency as my Innisfree Green Tea Seed Serum, for a reference point. Instead of flowing easily from the small travel sized bottle, I had to tap the bottle against my hand to get it out. You might find the consistency surprising if you’re not familiar with how the definition of the word “toner” can be fluid (har har) in Asian skincare. Toner, lotion, first essence, and first serum can all be used interchangeably to describe the first watery hydrating step in your skincare routine, and unlike Western toners, which tend to be thin and astringent, Asian toners tend to be more hydrating and rich. And sparkles! The Cho Bo Yang toner contains “pure gold”. It’s last on the ingredients list so it can’t be much, not that it has very solid evidence of being beneficial for the skin anyway. It is very pretty though to see the sparkles in the liquid. Your skin doesn’t start looking sparkly and Twilight-esque though (disappointed? ); the sparkles disappear upon application. Although alcohol is the third ingredient, my skin didn’t feel irritated or dried out, and I experienced no stinging. I found the toner decently hydrating, though not as hydrating as my Aromatica Rose Absolute First Serum. The texture has plenty of slip and is pleasant to apply as you pat it in. After the toner step, my skin doesn’t feel as thirsty, although I still need to add extra layers of hydration (I’ve been using the Nufountain Celsignal and Skinfood Propolis Essence on top of this). The Cho Bo Yang toner has a light ginseng/herbal scent (mixed with a general perfumey smell) that is nowhere near as overpowering as other hanbang products I’ve sampled. If you hate that herbal hanbang smell (I think it’s like a less noxious version of stale tobacco), this might be a good product with which to start your journey into hanbang products. I don’t think I’ll be replacing my Aromatica Rose serum anytime soon. I liked this toner, but after a couple of weeks I felt that it wasn’t as hydrating as it had been at first. As the weeks wore on, I also found that the fragrance wasn’t my favorite (I’m pretty sensitive to smells), which diminished how much I enjoyed the product. The Cho Bo Yang emulsion has a typical emulsion consistency — a light lotion that absorbs quickly. Like the toner, the emulsion had a light ginseng scent that was not unpleasant (though it’s still not my favorite smell). This is a really nice emulsion. Between the two, I like the emulsion better than the toner. It absorbs quickly without leaving a sticky feeling on the skin, and it is surprisingly moisturizing for a light moisturizer. If I ONLY use the toner and emulsion together, it is ALMOST enough moisture for my skin. That’s saying a lot, because I normally layer 5-6 products to get sufficient moisture. It helps that it contains macadamia and meadowfoam seed oil pretty high on the ingredients list, as the dry skin on my cheeks really likes facial oils. Like the toner, I felt that the Cho Bo Yang emulsion soothed redness and inflammation and didn’t irritate me (but I’m not sensitive to fatty alcohols or stearic acid). It left my skin supple and moisturized without weighing it down or feeling sticky. If I ever run out of emulsions, I might repurchase this. Although, like the toner, I wasn’t particularly partial to the fragrance. I think the combination of the toner, emulsion, and cream will be plenty of moisture for my mom’s drier skin. The toner and emulsion absorb quickly, restoring hydration to the skin’s upper layers, whereas the cream is more oily and occlusive, holding all that moisture in. In the two and a half weeks I tested the Cho Bo Yang toner and emulsion (without introducing any other new products), I didn’t really see any difference in terms of fine lines and wrinkles. Ginseng may be a nice ingredient, but it is nowhere near as fast-acting as proven anti-aging actives like retinol and Vitamin C. However, I did feel that they did a good job of hydrating and plumping (which is really half the battle with anti-aging), as well as calming and soothing the skin. I think the toner and emulsion would work well as basic moisturizers in conjunction with some harder hitting actives in the form of essences and serums, but in and of themselves aren’t anything spectacular. I’m not expecting my mom to report any miracles either :). I personally will not repurchase. I’ve satisfied my curiosity and I’ll be happy to explore some other products now. Nothing about this screamed “HG” to me, although I enjoyed it while I was using it. You can pick up the Missha Cho Bo Yang gift set at Missha US for $85. Missha often has sales, which can save you a lot, so you might want to wait for one.